The Melbourne Symphony Orchestra is delighted to present an evening of gorgeous music, featuring esteemed violinist Kolja Blacher. The diverse program includes Beethoven’s revolutionary First Symphony and, in homage to the Bernstein at 100 celebration, one of the composer’s great masterpieces. Join us for a pre-concert conversation lead by MSO Second Violinist, Andrew Hall, from 6pm. 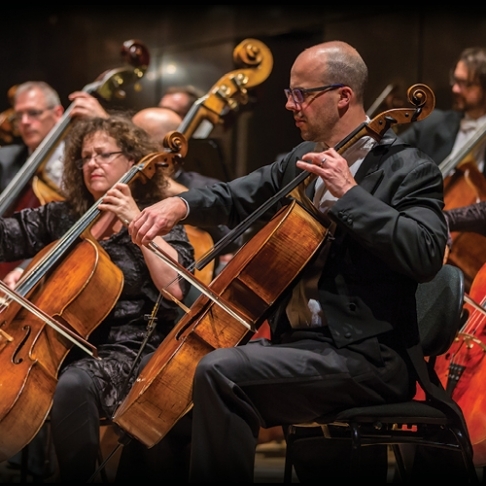 An Evening with the MSO is supported by the Victorian Government through Creative Victoria, The Robert Salzer Foundation, and the Freemasons Foundation Victoria. In Mildura, MSO is further supported by Mildura Rural City Council – Mildura Arts Centre, TASCO Petroleum, Duxton Vineyards, Mildura Living, Stefano’s and new U Mildura.